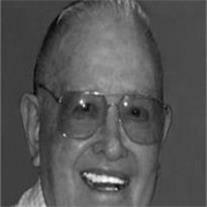 Clouse, Charles McKay, 80, of Mesa, Arizona passed away June 26, 2009 in Phoenix, Arizona. He was born August 15, 1928 in Virden, New Mexico to William O. and Edith Jones Clouse. He served a mission for the Church of Jesus Christ of Latter-day Saints in the Northern California Mission. He served his country in the United States Army during the Korean War and was stationed in Japan. He married his eternal companion Elizabeth Crum on May 26, 1953 in the Mesa Arizona Temple. They have been married for 56 years. Together they raised their family in Virden, New Mexico, later moving to Mesa to enjoy serving in the Mesa Arizona Temple. Charles loved farming– especially raising cattle. He also was a rural postal carrier for 28 years. Charles is survived by his loving wife Elizabeth and his five children– Melanie (Jim Price), Nyla (John Payne), Jeanie (Max Germaine), Charles Kent Clouse (Shelley), and Carole (Mark Nicholas), 25 grandchildren, and 34 great-grandchildren. He led by example and his posterity will always remember his honesty, integrity, and service to the Lord. Funeral services are Thursday, July 2, 2009 at 10:00 AM preceded by a visitation at 9:00 AM at the LDS Three Fountains Ward, 1852 N. Stapley Rd., Mesa, AZ. Interment will follow that evening at the Virden Cemetery at 5:00 PM. Arrangements by Bunker’s Garden Chapel.